Lap Dance Bandits | Apr 7th. 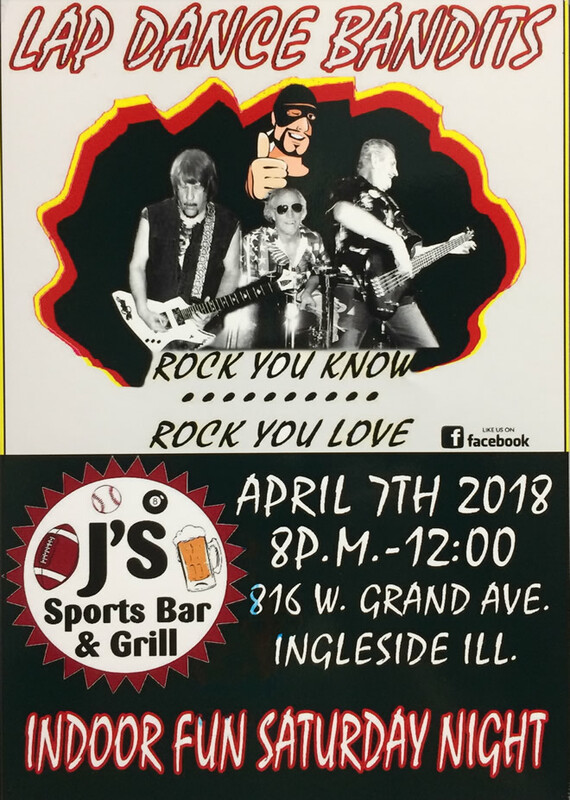 Get ready for the Lap Dance Bandits performing live at J’s Sports Bar and Grill, Saturday, April 7th starting at 8 pm. This 3 piece powerhouse is based out of Lake Geneva Wisconsin, and specializes in playing rock songs you know and love. Follow Lap Dance Bandits on Facebook. 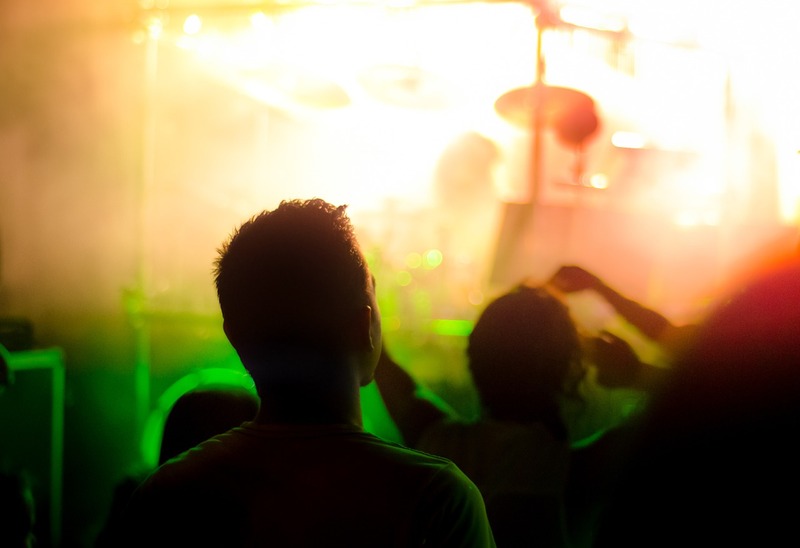 Pet Rock performs live at J’s Sports Bar and Grill on Saturday, January 27th. 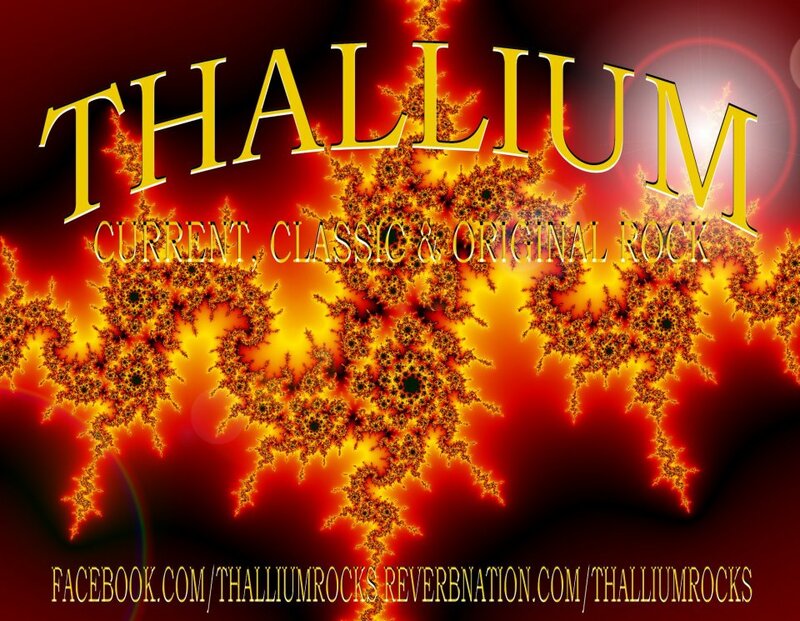 Thallium | Sat. Mar 3rd. Kezza Nezza | Nov. 25th. 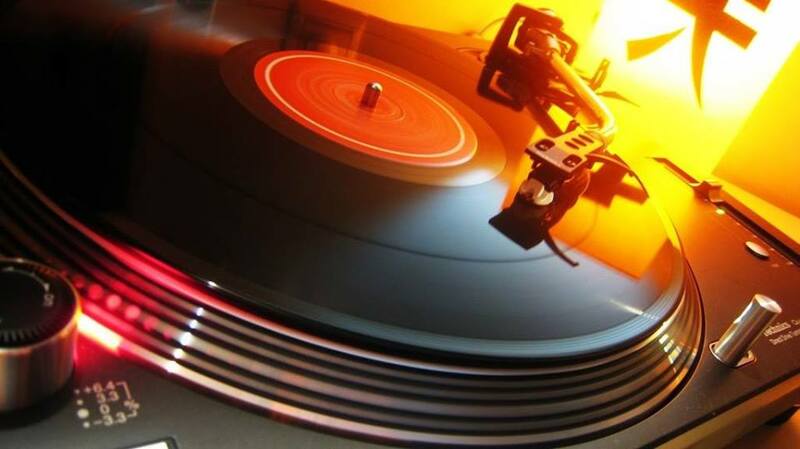 From Rock & Roll and classic hits from the 70’s to current Kezza Nezza performs live at J’s Sports bar and Grill starting at 9 pm on Saturday, November 25th. Visit the bands facebook page. Home for the holiday? 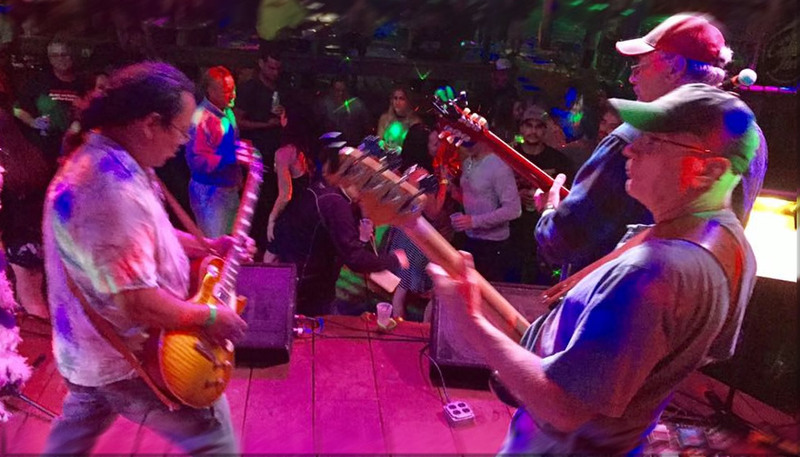 Join us the night before and get ready for some sounds from the South as Unkempt, formally Redneck Boys, take the stage at J’s Sports Bar and Grill at 10 pm. No Cover Charge, 21+ Show. Keith Magnine Acoustic | Nov. 18th. 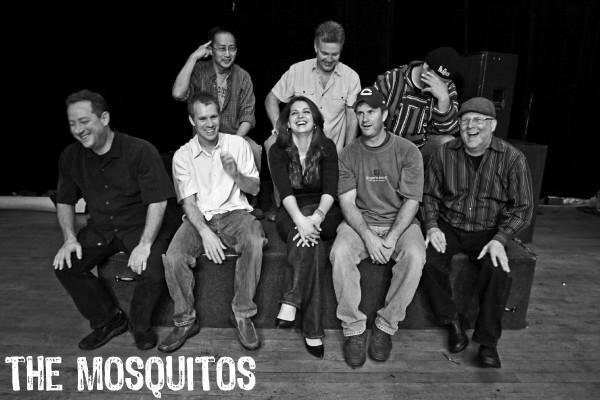 Keith Magnine performs an acoustic set at J’s sports Bar and Grill on Saturday, November 18th starting around 8:30 pm. Show is free to attend, ages 21 and over event. 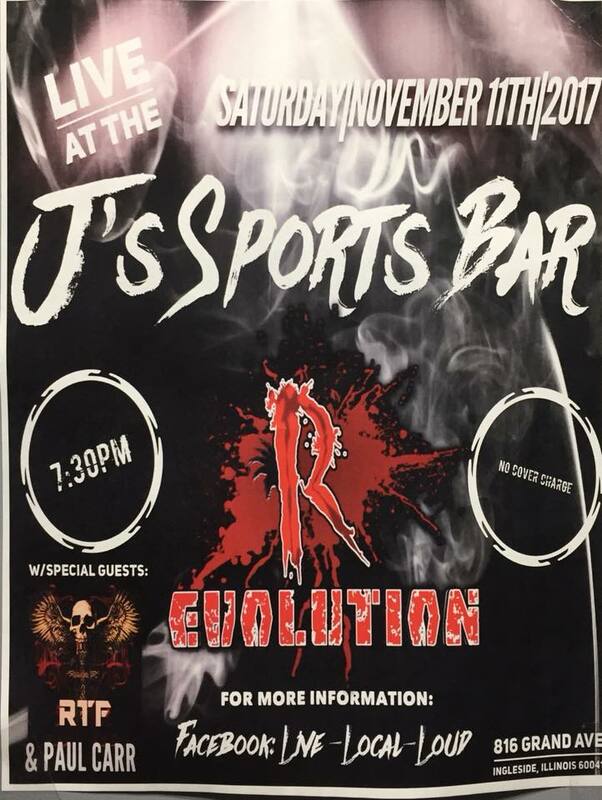 “It’s live, it’s local, and it’s loud.” R Evolution with special guest RTF & Paul Carr will perform at J’s Sports Bar and Grill, Saturday, November 11th. Show starts at 7:30 pm. 21+, Free admission.